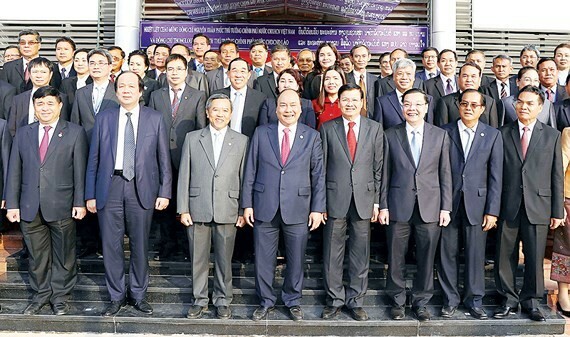 Vietnamese Prime Minister Nguyen Xuan Phuc yesterday led a high ranking delegation of the Government to attend and chair the 40th meeting of Vietnam- Laos Inter-governmental Committee in capital of Vientiane on February 4- 5. Both sides reviewed cooperation ties between the two countries in all fields which last year, planned to prepare for cooperative contents and proposed new solutions in order to improve cooperative efficiency in 2018. Within the visit framework, PM Nguyen Xuan Phuc and Minister, Chairman of the Office of the Government Mai Tien Dung had a meeting with Lao Minister and Chairman of the Prime Minister's Office Phet Phomphiphack. At the meeting, the minister Mai Tien Dung pleasured at socio- economic development achievements of the neighboring country last year, active results under guidance of the Vietnamese and Laotian prime ministers, including contribution of the Governmental offices of each countries. The Vietnamese leader also suggested the two sides needed to carry out cooperative contents signed in memorandum of understanding. The Lao counterpart Phet Phomphiphak agreed with idea of the Governmental Office Chairman Mai Tien Dung about its good cooperation development in previous time, and desired that both sides will continue strengthening the cooperation relationship in the coming time. 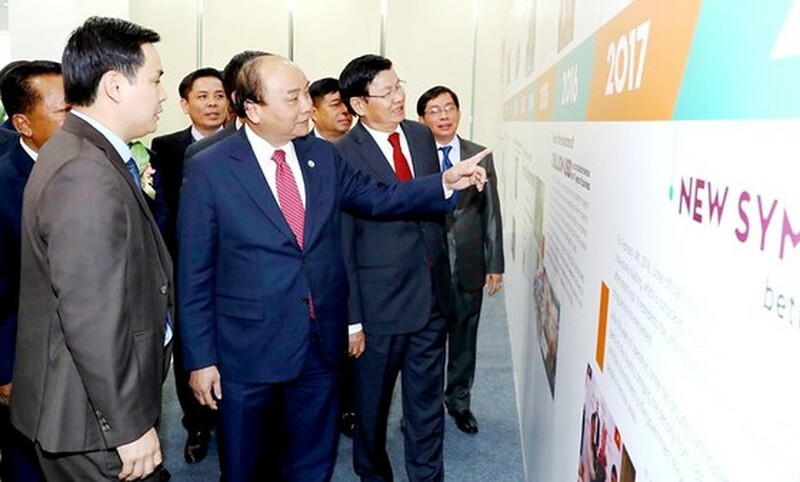 On the same day, Prime Minister Nguyen Xuan Phuc and Lao Prime Minister Thongloun Sisoulith visited Star Telecom Company, a joint venture between Viettel Global and Lao Asia Telecom named Unitel. The visit took place on the occasion of opening new head office of the company with aiming at strenghthening the Vietnamese and Laotian parties and states for Unitel’s contribution into Laos’ socio- economic development in particular and Vietnam- Laos political and diplomatic relations in general. PM Nguyen Xuan Phuc highly appreciated a success of Unitel. Besides that, he hoped that Star Telecom Company would strengthen further cooperation and economy and technology science development of the two countries in order to contribute in the Vietnam- Lao special friendship and comprehensive cooperation ties. On the same day, PM Nguyen Xuan Phuc and Laotian PM Thongloun Sisoulith attended in an inauguration ceremony of the scientific and technological human resources training center, a symbol of science and technology cooperation between Vietnam and Laos; and witnessed a signing ceremony between the Ministry of Science and Technology of Vietnam and the Ministry of Science and Technology of Laos.